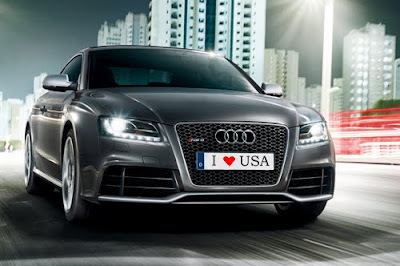 It's Official - Audi RS5 is Coming to the USA! It's official, Car and Driver has confirmed the mother of all Audi rumors. Receiving word direct from the "horses mouth," C&D spoke to Audi CEO, Rupert Stadler and reports that the Audi RS5 is indeed coming stateside. More after the jump! Noting Audi's earlier argument that making any RennSport model available in the USA was a tough business case, demand for cars such as the BMW M3 and Cadillac CTS-V has apparently made the proposition too hard to ignore. So begins the RS5's journey to North America. According to Car and Driver, Stadler did not comment on pricing, but you can expect Audi will price the RS5 to compete directly with the M3. In addition to lack of price, Stadler also did not confirm a US launch date - so don't rush to your local dealer just yet. Rumors of a launch date vary from who we talk to, however we would love to see a 2012MY North American RS5 (wishful thinking). Read Car and Driver's full report here.